Louis Pasteur has been famed to say “Fortune favours the prepared”. I would argue that few can agree more with Pasteur than us in the power sector, because according to the laws of physics, the nature of electricity is to continuously flow between demand and supply in a perfect balance every single second. And losing this delicate balance for equilibrium in the power system causes disturbances, generates unnecessary costs and may even result in large scale blackouts. 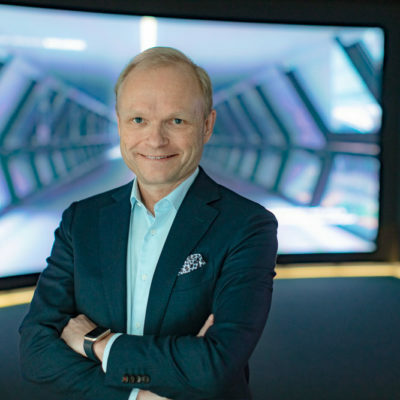 This is exactly why the emergence of artificial intelligence holds a substantial promise for the power industry, and why Fortum is so excited of this new world of opportunities. In the production end of the power equilibrium, where Fortum is active, avoiding costly failures at times of high demand, or even avoiding critical failures in full, requires that the production assets are in top shape. That’s why we have harnessed AI to closely monitor the behaviour of various parts and processes at production facilities. In our quest to be prepared, we have started “listening” to our gigawatts of hydro and CHP power that tell us when to maintain, and how. The other end of the equilibrium, energy demand, is equally important to understand. With the rapidly increasing share of renewable generation, climate extremes, electrification of heating and transportation, there will be much more volatility in the system to digest than ever before. Much more than a human mind can in fact comprehend. Luckily, affordable and more powerful computing power, with the help of increasing access to data, can take us far. Fortum is already using AI to predict the heat demand in our district heating networks. Understanding the weather patterns, human behaviour and energy flows helps us to optimise heat production and supply, and thereby save resources by prioritising recycled and CO2-free heat sources. Thanks to the same algorithms, we have been able to implement dynamic pricing for the heat we sell our customers and buy back from them in our unique Open District Heating networks. In the longer term, AI can help to shape heating networks into energy storages that can balance the volatility in wind power production. Another example comes from Google that uses DeepMind AI for its datacentre energy management. By training the system on one of their centre’s power usage efficiency and teaching it to predict the temperature and air pressure at the centre for the next hour, DeepMind was able to reduce the cooling needs by an incredible 40% in 2016. This is encouraging as the datacentre industry is set to increase power demand from 200-300 TWh in 2017 to a minimum of 1,200 or even up to 3,000 TWh by 2025.
awareness. It does not only flag items worthy of attention, it also makes required actions become faster, more accurate, even imaginative across the board. According to Goldman Sachs analysis, digitalisation, including AI, could mean overall 15% reduction in controllable costs for European utilities. And with some 20 billion euros worth of production assets in our balance sheet, Fortum is certainly not leaving this stone unturned. One might even say that “the prepared favor AI”.